As North American’s we live in the credit world of VISA and MasterCard. However, my boyfriend Nick is European/African, and those territories are dominated by American Express. In North America American Express is best known for their travellers’ cheques and small business credit cards. But American Express actually offers a whole empire of financial services that include retail banking branches, travel services, merchant services, and financing solutions. After researching the company and their CEO, I feel that American Express is very overlooked in North America. 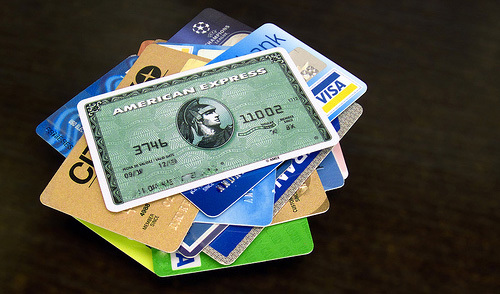 When choosing a credit card talk to, and use your financial advisor to your benefit. That is why we are here. I wouldn’t tell an engineer how to build a train, or a Starbucks Barista how to make my coffee. Everyone is specialized in their own niche, so use it to your advantage. Tell us why you will use the card, and we can suggest the best credit card for your personal needs. I know I have said this before, but I’m going to say it again, don’t fall into the trap of “limited time offers” and “special promotions”. Since you will probably have the credit card for several years, do not make your decision based on a short term offer. Also, try to stay away from specific rewards programs that promote only one airline or one gas company. You will be limited in your rewards, and the rewards may not be available to you when you need them. There are pros and cons of choosing a financing company such as MBNA (Bank of America’s Canadian division) or Diners Club over your local bank for your credit card financing needs. Generally, it is easier to be approved by a finance company. However, the number of products you hold with your financial institution directly affects your business relationship with them. There is also no chance of a finance company waiving annual fees on a credit card. At the end of the day, choosing a credit card is a personal choice. It may not be about getting the most bang for your buck. As an example my sister, Tara, has one credit card. She works for a Canadian Financial Institution but her one and only credit card is an MBNA MasterCard. She chose this card because it supports the Toronto Raptors NBA Franchise, and Tara is a huge basketball fan. She pays no annual fee, but she also does not accumulate rewards points. This is not important for her; the card is purple with the Toronto Raptor’s Mascot on the front. Tara is happy to support Toronto’s NBA franchise, and proud to pay with her MBNA Toronto Raptors MasterCard. I have a co worker who chose a gold card over a platinum card (even though the Platinum card has more insurance benefits for the same annual fee as the gold card) because the gold matches her Louis Vuitton wallet. Next post: DINKS: Smart or Selfish?